When you think of cryptocurrency, the next word you’re likely to think of is Bitcoin. Bitcoin remains the dominant currency in the crypto world with the largest market cap, 24-hour trade volume, and a far higher Google Trends ranking than all of the other cryptocurrencies. As the first cryptocurrency, Bitcoin has held value longer than any other cryptocurrency out there, which is a significant metric in a market where almost half of all ICOs launched in 2017 failed within the first few months of 2018. But will Bitcoin remain dominant, and should it remain dominant? Altcoins have exploded in popularity since late 2017. Not all of them will last as long as Bitcoin has, but their importance in the future of blockchain is growing each day–and the crypto industry needs to catch up. Though Bitcoin may be the least volatile choice for crypto investors, it remains incredibly volatile compared to traditional assets like shares of stock. The Motley Fool points out that Bitcoin underwent 20 price corrections between April 2013 and January 2018, three of them more than 50%, while the S&P 500 has only experienced three corrections of over 50% in the last 90 years. Bitcoin remains too volatile to serve many traditional investment needs. Bitcoin’s investment value is deeply tied to its day-to-day value as a medium of exchange. An analysis on Investopedia points out that Bitcoin essentially has no longterm worth unless people are exchanging it for goods and services. Volatility inhibits day-to-day spending (no one wants to repeat Laszlo Hanycez’s infamous $60 million pizza order), and that could also be true for high-priced Bitcoins, which typically drop in value more severely than less expensive Altcoins when the market tumbles. Simple usability issues may also be inhibiting Bitcoin adoption for day-to-day purchases. While Bitcoin may be experiencing higher usage rates among merchants thanks to its prevalence and relative stability, Bitcoin transactions tend to cost more and take longer to settle than other cryptocurrencies. For those reasons, Bitcoin has a hazy future as an investment tool and a medium of exchange. Will Altcoins fare better? Maybe or maybe not, but there are plenty of reasons for crypto-enthusiasts to root for a diverse crypto ecosystem that supports Altcoins. Altcoins expand access to crypto investing by allowing investors to diversify their holdings. For merchants, Altcoins can offer quicker and cheaper transactions, increasing accessibility for day-to-day crypto payments. And as Bitcoin’s energy consumption continues to trouble environmentalists, Altcoins can provide more energy conscious payment options (energy efficiency was reportedly a significant factor in Ethereum’s switch from PoW to PoS). A robust Altcoin sphere doesn’t automatically make Bitcoin irrelevant, but it does spur competition for blockchain-based technologies to offer the best product, ultimately driving the blockchain and cryptocurrency industry forward. Last, but certainly not least, Altcoins help blockchain innovators unlock the technology’s full potential. Bitcoin was invented by Satoshi Nakamoto to serve as a “Peer-to-Peer Electronic Cash System,” but Altcoins demonstrate that a blockchain can serve countless other purposes. Utility tokens power platforms in areas as diverse as healthcare, music, energy, and agriculture, serving industry-specific needs. Tokenized securities help traders exchange real-world assets using next-generation technology. Even payment processors could benefit from Altcoins, using tokens for cross-border payments, in-store purchases, and plenty of others use cases. No one coin, including Bitcoin, can be all things to all people–but a diverse Altcoin network can fill some of those gaps. Although Bitcoin has proven difficult to topple, Altcoins deserve more seats at the table. According to CoinMarketCap, Bitcoin holds the number one spot for both market cap (about $100 billion) and 24-hour volume (about $8 billion). Measuring crypto ownership figures is challenging thanks to its anonymity, but a recent survey found that while 5.15% of Americans own Bitcoin, only 1.80% percent own the second most popular coin, Ether. So what’s the holdup on Altcoin adoption? The difficulty of obtaining Altcoins might explain a lot. To purchase an Altcoin, typically, you set up a wallet on a cryptocurrency exchange, convert your fiat deposit into Bitcoin, then convert that Bitcoin into an Altcoin–which sometimes requires you to set up an account with a different exchange, if your primary exchange does not offer the Altcoin you are looking to buy. This process involves multiple transfers, fees, and waiting periods. Because Altcoin users must generally rely on exchanges more heavily than Bitcoin users, security issues pose a challenge that inhibits Altcoin adoption; in the first half of 2018, Hackers stole about $731 million in crypto from exchanges. At Amplify, we believe that Altcoins are integral to the future of cryptocurrency and blockchain. We also think that blockchain’s potential can only grow as its adoption rates increase–which is why we want to make it easier and safer for novice and experienced traders alike to use and exchange Altcoins. We plan for the Amplify Exchange to feature direct fiat-to-crypto conversions for the top 100 cryptocurrencies at launch time. That means anyone who has a bank account can buy Altcoins without making several different conversions and paying several different fees. Fiat-to-crypto gateways will encourage greater Altcoin adoption among newer users, but will also prove invaluable to experienced crypto traders who need to move money between tokens and fiat quickly. Amplify Exchange features a user-friendly interface that’s both simple and intuitive for newcomers, yet, highly customizable for experienced traders, allowing them to deploy tools such as charting grids, market scanners, as well as giving them the ability to custom-code their own indicators. Amplify will be a hybrid decentralized/distributed exchange, with most transaction handled by Amplify nodes hosted on the Substratum network. Substratum is already a thriving community of censorship-proof decentralized internet providers, and now, those providers can earn AMPX tokens for processing transactions in addition to earning SUB for handling internet routing requests. 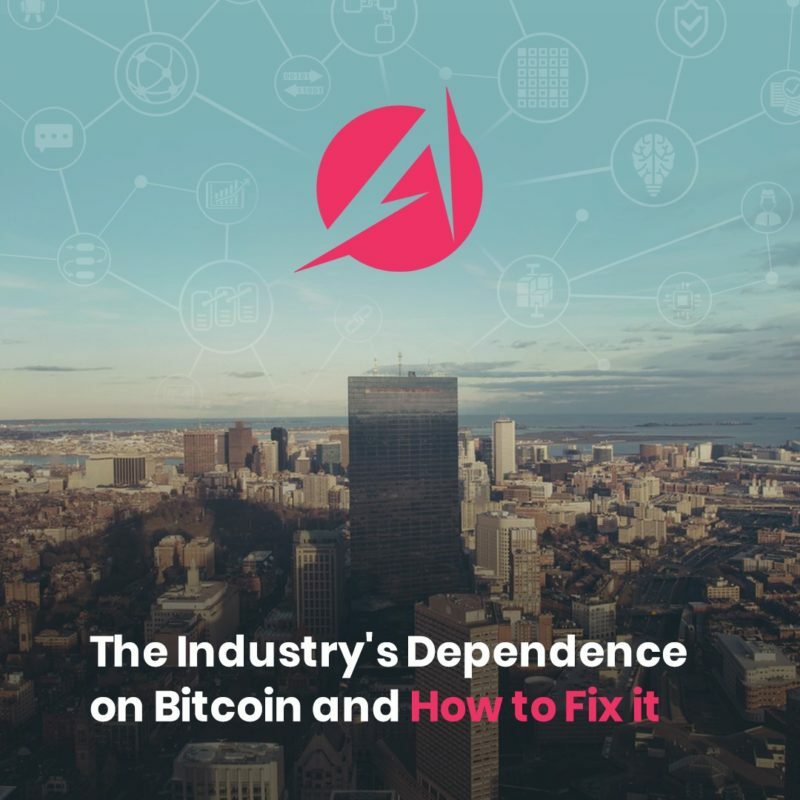 The distributed aspect of Amplify helps keep it fast, accessible, and affordable, while decentralization across Amplify nodes keeps the exchange resilient, censor-proof, and virtually impossible to hack. Our Bridgechain blockchain protocol links the decentralized and distributed aspects of Amplify to give users the best of both worlds. Bitcoin’s historical importance is hard to overstate–but that doesn’t mean it will or should be the dominant crypto forever. Only a diverse crypto ecosystem can truly unlock blockchain’s potential; that is why we’re paving the way for a better blockchain future with the Amplify Exchange.